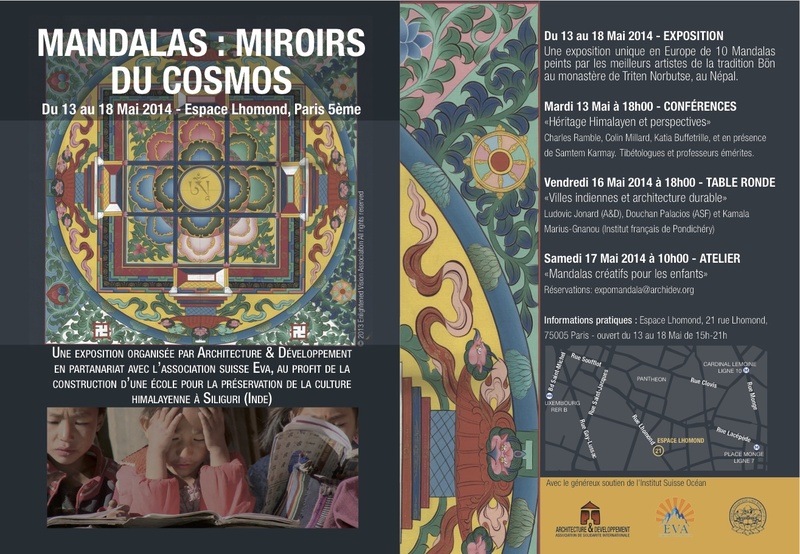 The Exhibition Mandalas Mirrors of the Cosmos in Geneva! Co-organized by EVA and Architecture & Développement, the exhibition Mandalas: Mirrors of the Cosmos will open in Paris on Monday, 12 May 2014. Mardi 13 Mai à 18h00 – Conférences «Héritage Himalayen et perspectives» Charles Ramble, Colin Millard, Katia Buffetrille, et en présence de Samtem Karmay. Tibétologues et professeurs émérites.